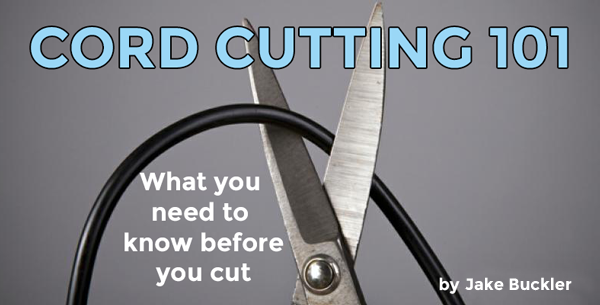 Are you ready to cut the cord and want the best antenna for local TV channels? Solid Signal can help you find it, but first we want to teach you what makes an antenna the best antenna for TV reception. “What’s the best TV antenna you have?” It’s not uncommon for people to call Solid Signal and ask this question. In today’s consumer culture – where we’re conditioned to think in terms of good, better, best. Things rarely ever are that simple, though. Any one of Solid Signal’s wide variety of TV antennas could be considered “the best,” depending upon the features. Because of this, we recommend cord cutters ask a different question – “Which TV antenna is best for my unique situation?” Now that’s definitely an easy question to answer, and we’re happy to do it for you. Understanding the types of TV antennas goes a long way to recommending the one that’s best… for you. When someone calls us about an antenna, the first question we ask is, “Where do you live?” This plays a huge role in what type of TV antenna we ultimately recommend you use at home. Generally speaking, we recommend indoor TV antennas to people who live in cities where TV broadcast towers are nearby. These small devices can be placed inside your window or anywhere else inside your home and receive TV signal from 25-30 miles away. So, when you’re close to the towers but have limited space indoors, an indoor TV antenna is the best for you. If you live outside the city, a different type of antenna will be the best for you. It will be a small, medium-, or large-sized outdoor TV antenna. The size and type of outdoor antenna you get will depend upon a variety of factors, not the least of which is how far you are from the nearest broadcast stations. There are many other factors to take into account, including whether or not you live in a valley or if there are mountains that surround your home. The most important thing you need to take from all this is that Solid Signal is the premier online supplier of TV antenna and other cord cutting supplies. We offer a variety of the top indoor TV antennas from RCA, Solid Signal, and Winegard. We have an equally-wide range of outdoor TV antennas in all sizes from makers such as Channel Master, Televes, Winegard, Xtreme Signal, and many more top names. As is always the case, the “best” one for you depends upon many factors. Rest assured that no matter where you live or what your TV reception situation is, we have some antenna options for you. Get the Best TV Antenna Today! If you’re ready to cut the cord, then we have the best antenna for local channels. In fact, we have many of the best TV antennas, and our team is ready to match you with the one that best serves your unique TV viewing needs. If you’re ready to cut the cord, all you need to do is pick up the phone and call us. Someone from our customer service department will ask you a few questions regarding your location, then we use that information to match you with a TV antenna that provides the clearest reception and the most channels. We’ll also help you install and aim your antennas toward the nearest broadcast towers. Solid Signal has this information and we’re happy to share! If the power supply for your antenna breaks, can you use a different one? How can an antenna be made of plastic and still work?